Myth: Once you reach your 60s, metabolism slows down and you need fewer nutrients. Fact: While it’s true that older people typically require fewer calories than young adults, they actually need more of certain nutrients. The reason: As we age, our bodies are less efficient at making or absorbing some vitamins and minerals. The skin’s ability to generate vitamin D from sunlight declines. The body’s ability to absorb B12 also decreases. “With age, the requirements for calcium, vitamin D, and B12 may all increase,” says Alice H. Lichtenstein, DSc, senior scientist and director of the cardiovascular nutrition laboratory at the Jean Mayer USDA Human Nutrition Research Center on Aging at Tufts University. Because seniors typically need fewer calories yet more of some key nutrients, they must take special care to eat nutrient-rich foods. Myth: Older adults don’t need to worry about becoming overweight or obese. Fact: Excess weight is a growing problem even among older Americans, says Lichtenstein. The culprit for people of all ages is simple: Consuming more calories than needed. Those extra calories are then stored as body fat. Excess body fat increases the risks of heart disease and type 2 diabetes. Myth: If you don’t have a weight problem, you can eat whatever you like. Fact: “Being overweight certainly increases the risk of chronic illnesses,” says Nancy Wellman, RD, past president of the American Dietetic Association. “But even if you’re slim, a poor diet can raise your risks of developing any of these chronic diseases.” Diets overloaded with saturated fat are linked to cardiovascular problems, for example. The bottom line: Following healthy nutrition advice is important whether you’re thin or fat. Myth: If you don’t feel like eating, it’s OK to skip a meal. Fact: Loss of appetite is a common complain among older adults, leading many to skip meals. That’s a bad idea for several reasons. First, people who skip a meal because they’re not hungry can later gorge on high-calorie, nutrient-poor snacks between meals. Skipping meals can also cause blood sugar levels to fall too low; then when you do eat a big meal, they can surge too high. Skipping meals, paradoxically, can also suppress appetite. That can be a problem for older people who already suffer from a loss of appetite. Hawaii’s Michelle Wie moved into a tie for 15th place by shooting a three under par 69 on day three of the HBSC Women’s Championships at the Tanah Merah Country Club. Located at the southern end of Changi Airport runway, Tanah Merah has two 18-hole golf courses, and is one of Singapore’s finest. Can Wie overcome a five stroke deficit to catch Ai Miyazato and Juli Inkster? I have high hopes that see can! Due to the tsunami warning, the HHSAA State Wrestling Championships will be rescheduled to Sunday, February 28, 2010. Weigh-ins will begin at 7 a.m. (scratch weight plus 4 pounds). Wrestling will begin immediately after weigh-ins and wrestling will continue, without break, until completion. Further information will be provided as it becomes available. Tsunami Warnings have postponed the Boys and Girls state wrestling championships until Sunday, according to Big Island Interscholastic Federation wrestling coordinator, Keith Tolentino. “We’re going to have weigh INS at 7a.m. on Sunday and then go straight through with the matches, without any breaks,” Tolentino said. After day one of the HHSAA Champions there were eleven BIIF wrestlers advancing to the semi finals. Big Island wrestlers fared well in day one of the Hawaii High School Athletic Association wrestling championships held Friday at the Blaisdell Arena in Honolulu to advance into Saturday’s semi-finals. 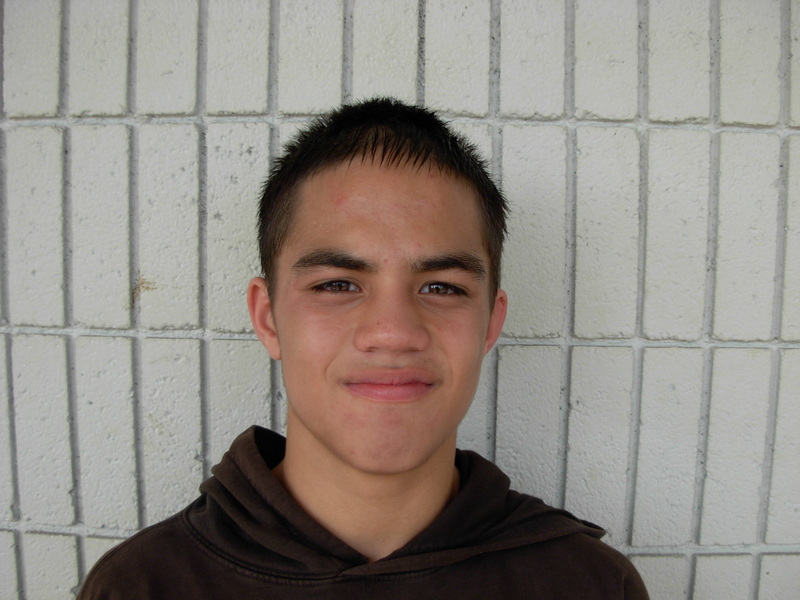 Kamehameha-Keaau advanced a total of five wrestlers, Konawaena four, Waiakea one and Hawaii Prep had one. For the boys it was Kona’s Sage Aoki, 108, and Jimmy Romualdo, 135, along with Kamehameha’s Nalu Souza, 120, and HPA’s Keoni Colson making it into Saturday’s semis. For the girls Kamehameha Meghan Aina, 98, Jenna Aina, 114, Rustee-Ann Johansen, 130 and Kaopua Sutton, 175, along with Waiakea’s Tracey Poch, 155, and Kona’s Tamalei Louis, 125, and Alexandra Aoki, 103, make the semis. All eleven wrestlers are the Big Island Interscholastic Federation individual champions for their respective weight class. Alexandra Aoki was the BIIF highest state finisher last year finishing with a second place medal. The big surprise was Honokaa’s Geo Chavez-Pardini, 160, who dropped his opening match during the trials and now needs to work his way through the consolation bracket in order to medal in the top six.